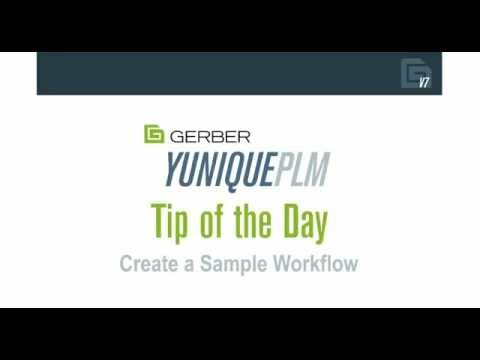 Where do I create or edit Sample Workflow templates in YuniquePLM? I want a different workflow layout for my sample requests. How do I create that? You can create a new sample workflow under the Control Panel of YuniquePLM. I've attached a quick tip of the day video showing the different steps needed to create a new sample workflow.